Orange Hair From Tap Water? Too Much Iron in the Water! Can you get orange hair from tap (or well) water? Some residents in the Boulder Hill area of Illinois have presented their local water department with evidence that it can happen… and have water test results documenting the presence of three times the normal level of iron in their tap water. Last week, residents complained about the water quality at a Village Board meeting and brought pictures of children with orange hair, damaged pipes and water sample results that documented the iron content was some three times the normal level. This week, after action taken by the village, residents say things are looking up. “It is looking better, this is good news,” Karol Armbruster, one of the residents affected by the rusty water, said Tuesday. “It doesn’t seem to be as bad,” said Debbie Way, another resident. The water problems began Nov. 19 when the motor that runs Well 14 broke. At that time, village officials began sending water to the area from other wells. The rust is the result of a change in direction of the water flow in the pipes. For these folks water conditions will improve once the new well pump comes online, according to the article, but what about YOUR water? Do you know how much iron or other metals it contains? While some metals (like iron) usually pose more of an aesthetic problem, other metals such as lead, mercury, chromium, etc. can have lasting detrimental health effects. If you notice sudden changes in water quality could mean problems with the safety of your water and only testing the water for its purity will let you know for sure if the changes mean action needs to get taken by your water company or, if your water comes have a private well, you need to take action. In this case the water district had a pump fail and needed to redirect water through different lines that had not seen a lot of use in a long time and years of corrosion got pumped to people’s homes. We believe that local residents’ seeking testing and banding together to lobby for prompt action on the part of the water company resulted in the situation getting cleared up a lot faster than may have happened if residents had not presented test results along with their complaints. Take an interest in the quality of your water and perform spot checks from time to time — especially if you notice a ‘change’ in the color, taste or smell of your water. Doing so could, in some cases, possibly save your life or the life of a loved one. 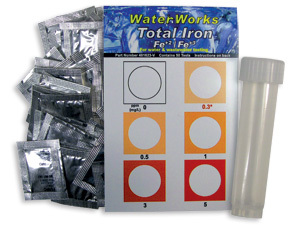 Interested in removing iron from drinking water? 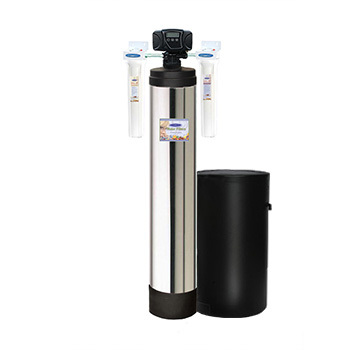 Whether you need a replacement 10″ iron filter cartridge, replacement 20″ iron filter cartridge or a whole house iron removal system, we believe FilterWater.Com may have the correct solution for your unique water quality situation.